Sellers – PrimeSouth Properties, Inc.
Curb appeal is probably one of the most important aspects in selling a home. Remember, it is impossible to sell your home if can’t get prospective buyers inside. Have a well-manicured lawn, trim shrubs, pull weeds, and pressure wash if needed. 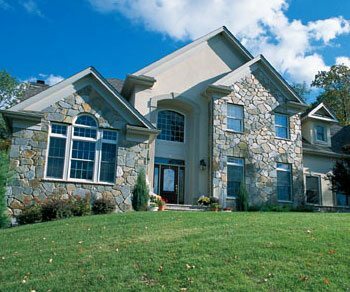 Your PrimeSouth Associate can provide additional guidance to help your home’s curb appeal. Your home should be sparkling clean when it is shown. Scrub your kitchen and baths. Do your “spring cleaning.” Get in the habit of making the beds every morning, vacuuming regularly and taking the trash out when you leave. Make sure that everything in your house works. Home buyers love to open all drawers. Turn on faucets, open doors, and turn light switches on and off. Make sure all of these items are in proper working order. These are small items that typically do not cost much to repair. Don’t let small problems detract from what’s right with your home. Make your residence as safe as possible for visitors. Remove any obstacles that can cause people to slip or trip as well as any other hazards. Remove any clutter in your house: The main goal is to give the house a feeling of organization and utilization of storage areas. The Kitchen cabinets and bedroom closets are a great place to start. Clean out your closets and kitchen cabinets. Many items that are not used on a regular basis should be put in boxes stored. These areas should be neat and look as if there is additional room for other items. Make sure the kitchen counter completely open. Place all small appliances into the cabinets, even the coffee maker. You probably know that your property needs to be as clean, clutter-free and in as good repair as possible, inside and out. But you can further distinguish your home from the competition by having your home staged. Consider hiring a professional home stager. A home stager can make your home more attractive for a potential buyer. Sure, this professional service comes with a fee, but in return, you will reap the benefit of a higher sales price and shorter time on the market. Make sure all lights are on and the blinds are open before an agent shows your property. Lights should be left on whether it is day or night. During the day the lighting will reduce long shadows in your home giving the home a softer feel. Ensure that the home smells good. Placing fresh flowers in the home, place settings at the dinning room table and soft music playing in the background are great touches. If you have pets make sure that this is disclosed in your real estate listing. Make sure your pets are placed in an area that is out of the way and tell the agent where they are. Try to take your pets with you or keep them outside while your house is being shown.. It is best if you’re not there when your home is being shown. However if that’s not possible, stay in the background. Buyers want to view the home with minimal distraction from the owner and your PrimeSouth Associate will have an easier time showing your home and overcoming any objections. 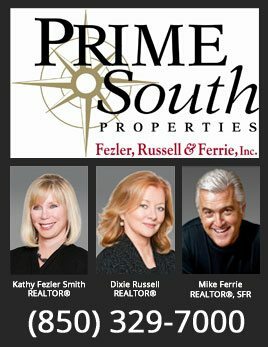 When prospective buyers want to talk price, terms or other real estate matters, let them speak to an expert – your PrimeSouth Sales Associate. As the real estate seller, you might feel tempted to weigh in, but your two cents could cost you much more. Make sure your home is available to be shown when a real estate agent calls. Try not to be home while the home is being shown. We are trying to give the buyer the opportunity to feel as if he is home.